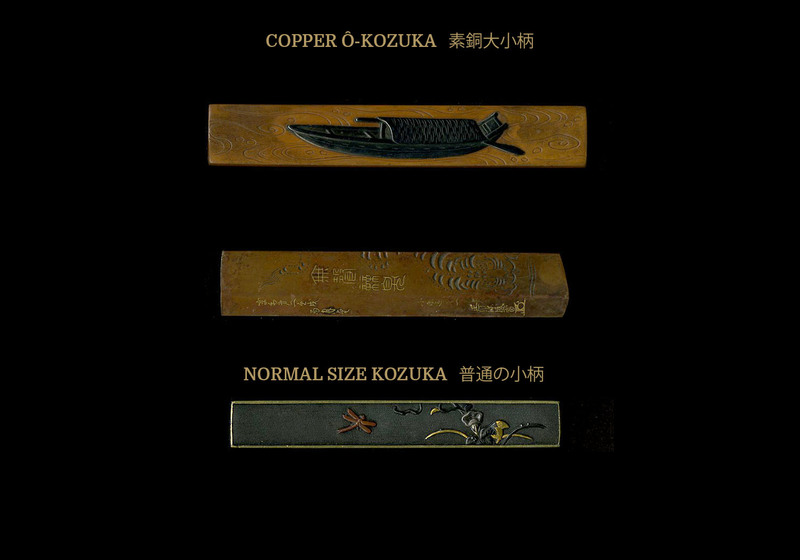 Below are two suaka 素銅 (copper) ô-kozuka. 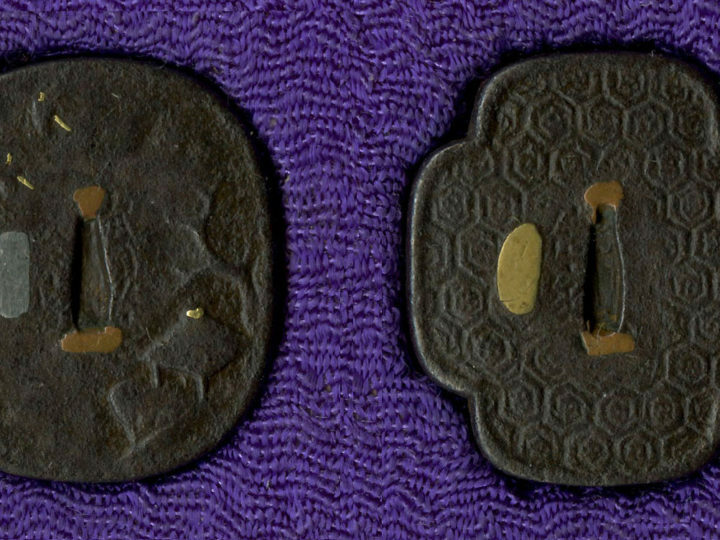 The top one is copper with a large shakudo river boat floating amid the currents. 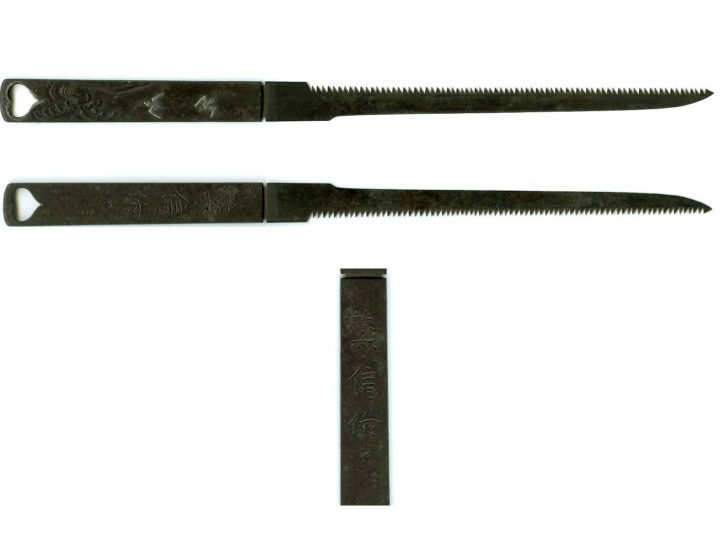 It measures 4 3/8 inches by 3/4 inches. 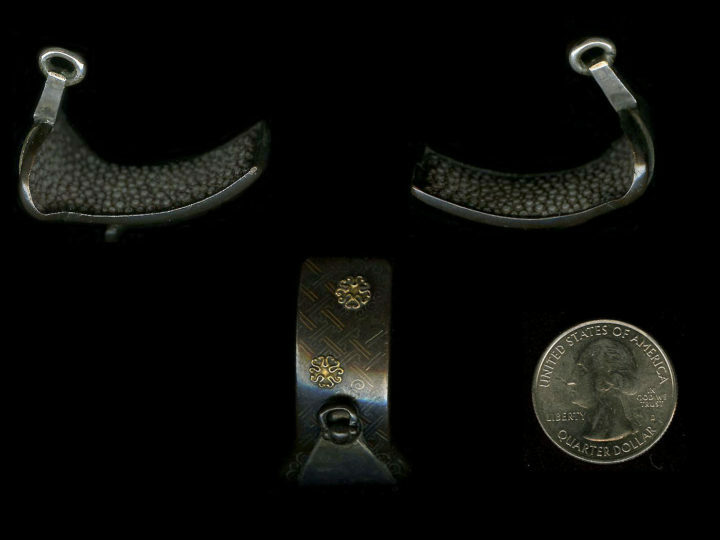 The shakudo is dark and rich showing a high gold content. 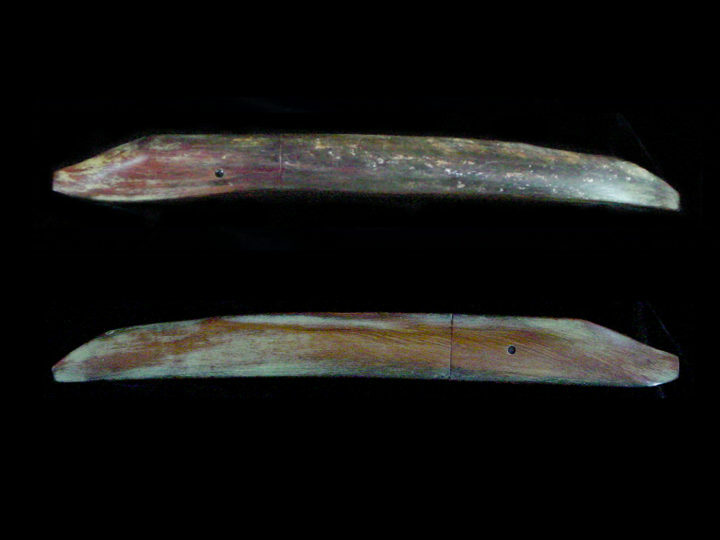 The ô-kozuka below is also of suaka 素銅 but the reverse side is made of a silver plate. The obverse has a ridge running down its length that is slightly off center. One one side of the ridge is a beautifully carved tiger looking as if he is ready to pounce. The left side of the ridge has the artist’s name and the date it was made. It is signed Shoami Moritomi (kao) 正阿弥盛富. It is dated as being made in the second year of Kyo-wa (享和) in the “rain month”. This would equate to June of 1802 in the western calendar.